The Bling Ring arrives on DVD and features only three bonus features. Yet, they astound in a way that compliments The Bling Ring movie and enhances it on home video. The Bling Ring is Sofia Coppola's second L.A. story after Somewhere, and it's even more compelling. Emma Watson steals the show as a member of The Bling Ring, a group of rich teens who stole millions from the rich and famous. Katie Chang, Claire Julien, Taissa Farmiga and Israel Broussard talk exclusively about the "insane" obsession with celebrity at the heart of their The Bling Ring. The true story follows rich teens who robbed Lindsay Lohan and Paris Hilton for over $3 million worth of merchandise. 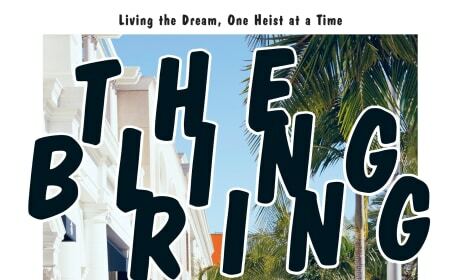 The Bling Ring Giveaway Exclusive: Win Some Bling! 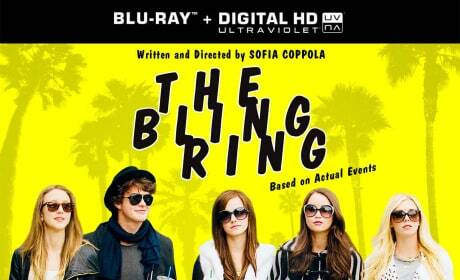 As The Bling Ring is set to arrive in theaters, Movie Fanatic is presenting an exclusive giveaway. The Bling Ring stars Emma Watson in the larger than life true story from director Sofia Coppola. The behind-the-scenes featurette for The Bling Ring. Emma Watson stars in the film, which is based on a true story. The poster for The Bling Ring is here. Katie Chang, Emma Watson, and Taissa Farmiga star. Paris Hilton is the subject of a robbery, and its just one celebrity robbery featured in the new The Bling Ring trailer. Emma Watson stars in the true story of the Hollywood Bling Ring, directed by Sofia Coppola. A batch of new stills for The Bling Ring has dropped. Emma Watson stars in Sofia Coppola's latest. The first trailer for Sofia Coppola's The Bling Ring has landed. Emma Watson stars as the leader of The Bling Ring, based on a true story. Sofia Coppola's newest film, The Bling Ring, has released its first still. The film tells the true story of a group of teens who form a heist ring to rob celebrity homes. The Bling Ring is from Sofia Coppola and follows the true story of a group of high school kids who spent months ripping off the rich and famous. It stars Emma Watson in one of her first post-Harry Potter roles.